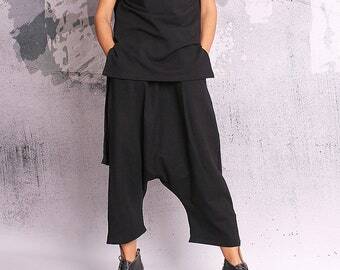 Black skirt / harem / loose pants. The pants have elastic waist. This dress is so, so flattering - it's very sheer so will require leggings and a singlet but it's just gorgeous. Shipping was crazy fast.